Energy Intelligence Group Inc. is the leading provider of integrated research, information services and data analytics on the energy sector. The Information Services, Data Analytics and Research & Advisory groups provide a unique platform and an integrated approach, which equips clients with differentiated value-added services vital to those in the energy industry. Energy Intelligence is headquartered in New York, and Thomas Marchetti is President. 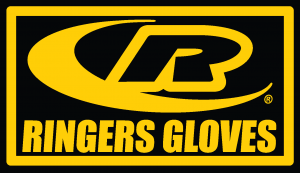 Ringers Technologies LLC, a returning member company, is the original innovator of the safety work glove. Today, they’re solely focused on creating the industry’s most advanced hand safety solutions. All Ringers’ gloves are developed with their proprietary F3 Technology™ — a unique approach that results in gloves with the best fit, form and function. They leverage 20 years of dedication and expertise to deliver task-specific gloves that meet your unique needs. Ringers is headquartered in Houston, and Jim Wolf is CEO.